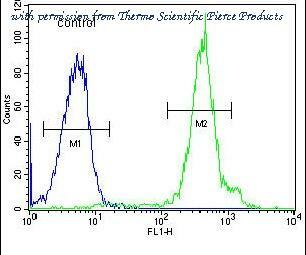 The FUS/TLS antibody from Proteintech is a rabbit polyclonal antibody to a recombinant protein of human FUS/TLS. This antibody recognizes human,mouse,rat antigen. 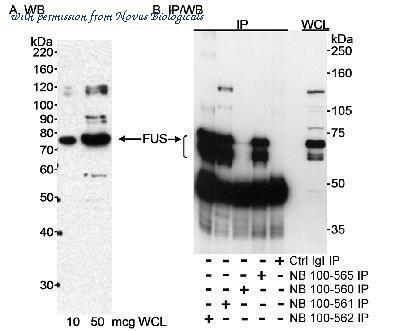 The FUS/TLS antibody has been validated for the following applications: ELISA, FC, IF, IHC, IP, WB analysis. The FUS/TLS antibody from Proteintech is a mouse monoclonal antibody to a recombinant protein of human FUS/TLS. This antibody recognizes human,mouse antigen. 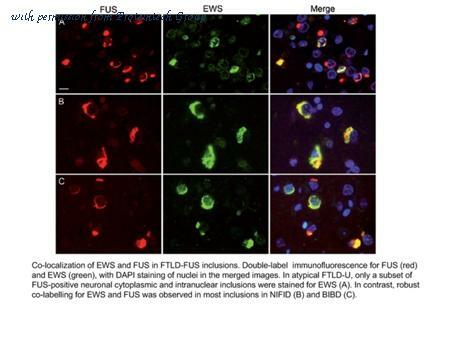 The FUS/TLS antibody has been validated for the following applications: ELISA, IF, IHC, IP, WB analysis. 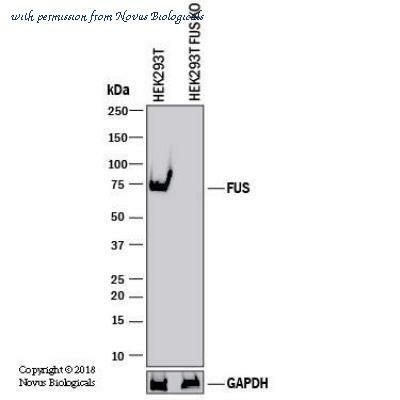 Western Blot: FUS Antibody [NB100-565] - Detection of human FUS on HeLa whole cell lysate using NB100-565. For IP rabbit anti-FUS antibodies NB100-560, NB100-561, NB100-562, and NB100-565 were used. 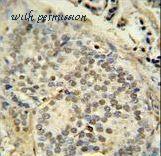 Immunohistochemistry-Paraffin: FUS Antibody [NB100-565] - FFPE section of human ovarian carcinoma. Antibody used at a dilution of 1:250. Detection: DAB staining using anti-Rabbit IHC antibody at a dilution of 1:100. 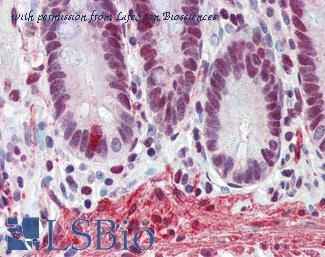 Immunohistochemistry-Paraffin: FUS Antibody [NB100-565] - Human colon carcinoma (left) and mouse squamous cell carcinoma (right). Antibody used at a dilution of 1:1,000. 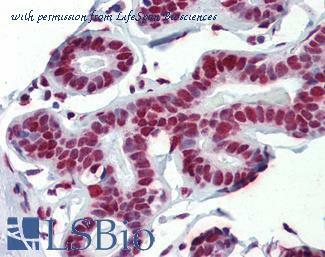 Immunohistochemistry: FUS Antibody [NB100-2599] - Section of mouse squamous cell carcinoma. 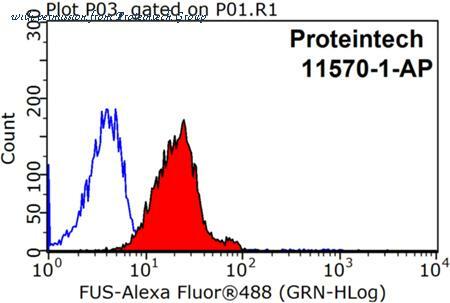 Antibody: Affinity purified rabbit anti-FUS (NB100-2599) used at a dilution of 1:250. Detection: DAB staining using anti-Rabbit IHC antibody at a dilution of 1:100. Immunohistochemistry: FUS Antibody [NB100-2599] - Antibody: Affinity purified rabbit anti-FUS (NB100-2599) used at a dilution of 1:250. Detection: DAB staining using anti-Rabbit IHC antibody at a dilution of 1:100. 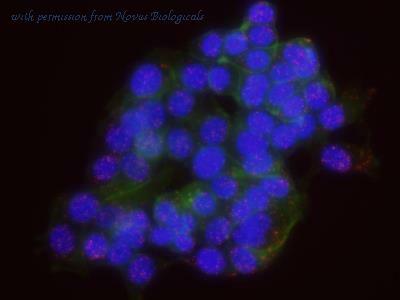 Immunoprecipitation: FUS Antibody [NB100-561] - FUS immunoprecipitation in human fibroblast cell lysates. Image from verified customer review. 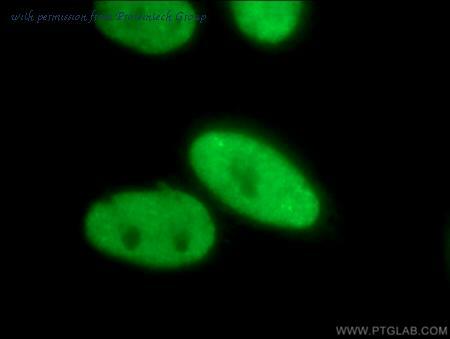 Proximity Ligation Assay: FUS Antibody [NB100-561] - Secondary-conjugate Duolink In Situ PLA in MCF-7 cells. goat anti-human POLR2A (NBP2-14859) and rabbit anti-human FUS (NB100-561). Image merged from DAPI (2ms), FITC/Green (25ms) and TRITC/Orange (250ms) exposures, 40X magnfication. Western Blot: FUS Antibody [NB100-561] - Detection of human FUS on HeLa whole cell lysate using NB100-561. For IP in B, rabbit anti-FUS antibodies NB100-560, NB100-561, and NB100-565 were used. Western blot analysis of FUS in mouse cerebellum tissue lysates using 15ug per lane of antibody. 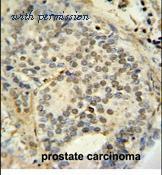 Immunohistochemical analysis in formalin fixed and paraffin embedded human prostate carcinoma followed by peroxidase conjugation of the secondary antibody and DAB staining. 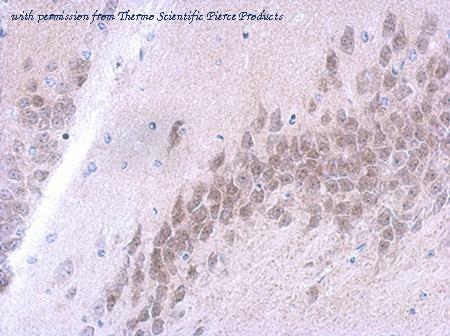 Immunohistochemical analysis of paraffin-embedded CL1-5 xenograft using FUS (PA5-27531) antibody at 1:500 dilution. 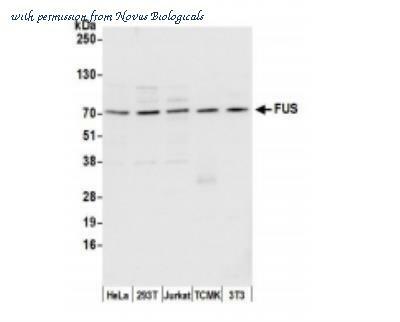 Western Blot analysis of FUS using anti-FUS Polyclonal Antibody (PA5-27531), in Hep G2 Cell Lysate (30 ug of cell lysate) and at a dilution of 1:2000. 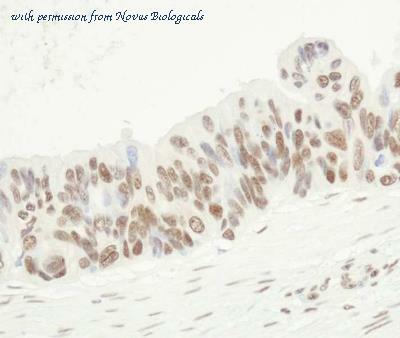 Anti-FUS antibody IHC of human breast. Immunohistochemistry of formalin-fixed, paraffin-embedded tissue after heat-induced antigen retrieval. Antibody concentration 5 ug/ml. This image was taken for the unconjugated form of this product. Other forms have not been tested. FUS Antibody western blot of mouse cerebellum tissue lysates (15 ug/lane). 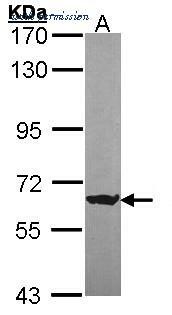 The FUS antibody detected FUS protein (arrow). FUS antibody immunohistochemistry of formalin-fixed and paraffin-embedded human prostate carcinoma followed by peroxidase-conjugated secondary antibody and DAB staining. 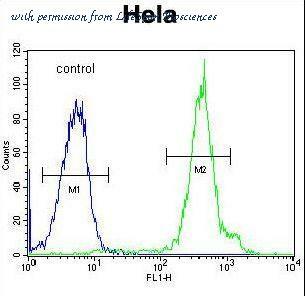 FUS Antibody flow cytometry of HeLa cells (right histogram) compared to a negative control cell (left histogram). FITC-conjugated goat-anti-rabbit secondary antibodies were used for the analysis.